Nightclubs are typically distinguished from typical bars and lounges by having a stage for live music performances, at least one dance floor and usually a DJ booth. Therefore, nightclubs in general and those located in Las Vegas make great venues for bachelor and bachelorette parties. In fact, many nightclubs in Las Vegas specialize in bachelor and bachelorette parties, but picking the best ones can be a challenging enterprise. 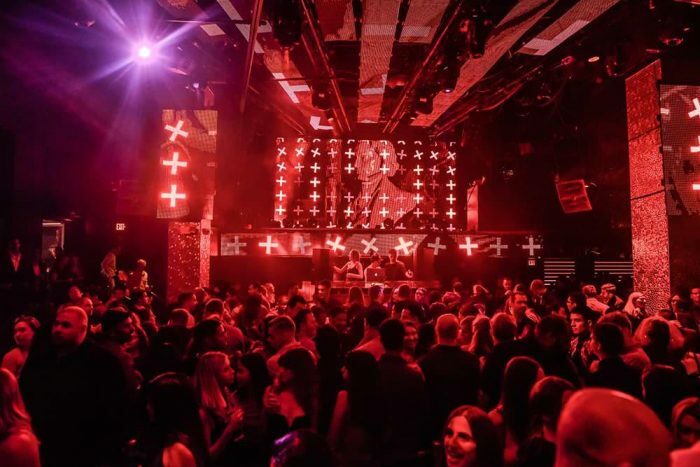 This 2019 edition of our world-famous list of best nightclubs in Las Vegas will help you find the perfect nightclub for you and your friends to celebrate the upcoming nuptials. It’s been nearly a century and a half since the first modern nightclub was created in 1886, and today there are thousands of these entertainment establishments in Las Vegas. This means that no matter what your age, tastes or interests, there are plenty of nightclubs that will appeal to you, including the some of the best ones we describe below. This may be the best nightclub in the entire world, especially if you’re planning a bachelor or bachelorette party. In fact, XS Las Vegas has repeatedly been named the #1 Grossing Nightclub in America by Nightclub and Bar magazine – and for good reason. Even though Las Vegas is known far and wide for gambling of all types, there’s no need to gamble when it comes to choosing XS Las Vegas for your bachelor or bachelorette party. 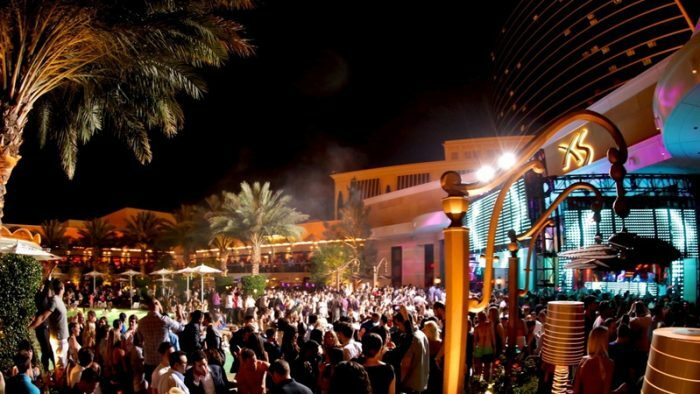 With a swimming pool, world-famous entertainers performing live house and electronic music almost every night of the week (they are closed on Mondays), lighting and sound systems that will blow you away and upscale, luxurious surroundings, XS has it all. Featuring almost 100 VIP tables, XS will also be able to easily accommodate bachelor or bachelorette parties of any size in style. Prices for tickets only begin at around $35 and prices for VIP parties vary depending on what group is performing and what amenities you select, but usually start at $60 per guest. Most people prefer going to XS club because of the DJs that come around. This year features DJs which ranges from David Guetta, the ChainSmokers, Diplo, Major Lazer, Lost King, Gallantis amongst others. These DJs play mainly dance music. With a large indoor and outdoor space, XS venue is over 40,000 square feet. 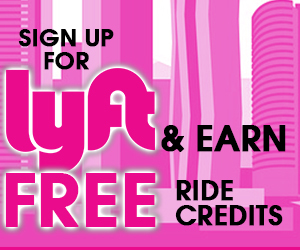 For regular admission, ladies are charged $20 and above while men are charged $30 and above. Usually, admission for VIP comes with placing orders for tables. VIP admission and table reservation are charged for as low as $500 and as high as $15000. However, the fixed price for booking is always dependent on the DJ performing that day. 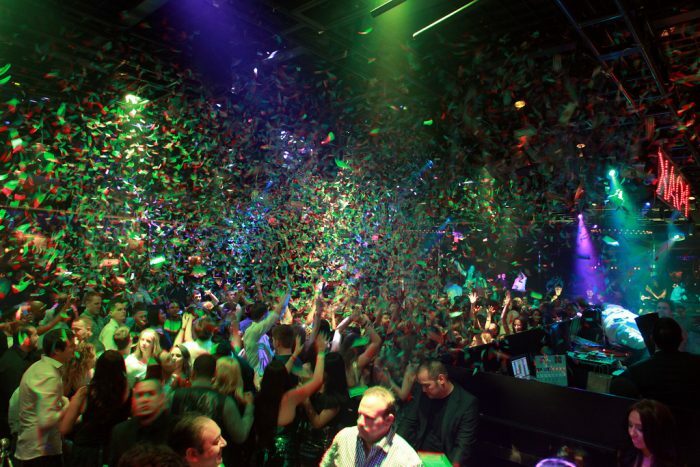 XS club is located in the Encore hotel at 3131 S Las Vegas Boulevard, Nevada 89109. For inquiries or reservations, guests can call XS main office by dialing 702.770.7300. They can also send a mail to [email protected] On Wednesday, Friday and Saturday, you can call between 9 and 11 pm while on Monday, Tuesday, Thursday and Sunday, you can call from 9 am – 7 pm. As soon as you set foot in the OMNIA, you’ll know you’re not in Kansas anymore. This multi-level nightclub has a mezzanine and rooftop garden with spectacular views of the famous Strip. An enormous kinetic LED chandelier hangs from the main ceiling (see picture above) and moves up and down while changing in color with the music which ranges from country/western to high-energy rock n’ roll. VIP tables for bachelor and bachelorette parties include bottle service. 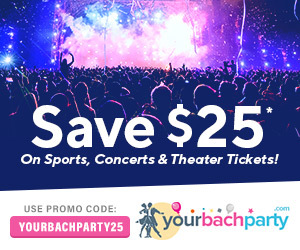 Pricing depends on the date, the live performers and the number of guests in your party, but regular tickets start at around $30 and range up to $125 per guest for bachelorette and bachelor parties. Reservations are needed to ensure VIP table availability during your visit to Vegas. The kind of music offered will depend on the area of the club you wish to party. 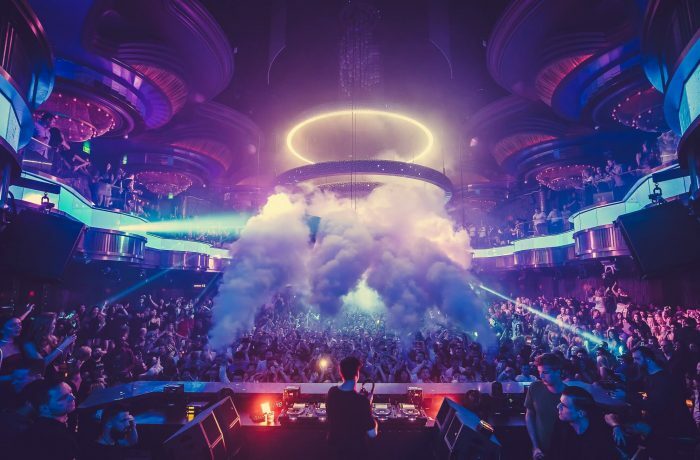 Omnia features electronic, house and EDM music with a series of star DJs. Some of the resident DJ include; Tiesto, Calvin Harris, Zedd, Steve Aoiki, Illynium, Gryffin amongst others. With the inclusion of an ultra-lounge, the main room with high energy and a rooftop where you can quickly view the beautiful setting of The Strip, the size of the venue covers 75,000 square foot. For regular access, girls are charged $20 and above while men are charged $40 and above depending on the type of event. Admission price for VIP reservations is also dependent on the part of the club the VIP wishes to stay. Whichever part you choose, you will not spend below $1500. However, you can gain a VIP status without making reservations by requesting for VIP Bar Card Package when ordering for a ticket. JEWEL Nightclub is also a multi-level club located in the Aria Resort & Casino. Although JEWEL is somewhat smaller than the other nightclubs reviewed here, it does have 24,000-plus square feet of custom designed interior. More to the point, JEWEL also has much to offer for bachelorette and bachelor partiers, including five themed VIP suites with custom amenities on the top level. The music is provided by world-famous DJs and live performers, so the type of music will depend on the date of your visit. An LED light wall behind the DJ booth morphs with the music and LED ribbons contour pillars and walls, making the whole club appear to throb along with the action on stage. Prices for tickets for DJ entertainment nights start at just $20, but the table minimums for bottle service at VIP tables range from $1,500 (mezzanine) to $5,000 (dance floor). 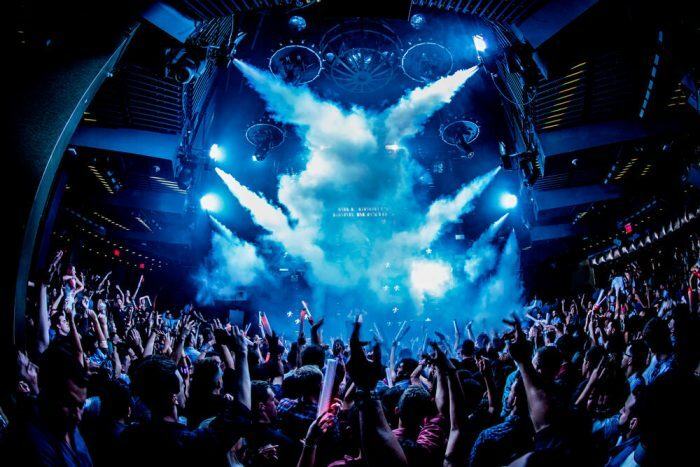 With its place of abode being the MGM Grand Hotel, Hakkasan has proven itself as one of the best clubs in Vegas. Amongst others, one feature that made Hakkasan famous is its multi-level space for all activities. Hakkasan also has different sections for different types of people who visit. At the main club, the booth for DJs is positioned in such a way that everyone in the hall, irrespective of their location gets to see the DJ. At the main dance all, guests dance mainly to EDM while guests at the ling lounge enjoy the top 40 and hip-hop. The club features a wide range of popular DJs whose names include; Calvin Harris, Steve Aoki, Tiesto amongst others. The size Of Hakkasan club is 80,000 square feet. Located at MGM Grand Hotel, 3799, Las Vegas Boulevard, Nevada, 89109. Located in the Wynn Las Vegas, the Intrigue is different from many of the other nightclub venues in Vegas because the management has focused on making the club itself the focal point of entertainment instead of just the DJ booth. Rated one of the top five nightclubs in Vegas by the Las Vegas Journal-Review, Intrigue has it all. Expect to see some celebrities when you visit Intrigue, but you’ll always find friendly costumed staff and a happy crowd enjoying the music and ambiance. With world-class DJs pumping out the EDM and world-famous entertainers rockin’ it onstage, you’re in for a real treat at this venue. The Intrigue has a cover charge between $25 and $50, and bottle service begins at $550. In addition, they even have a “secret” room where social media and photography are prohibited (after all, what happens at the Intrigue stays at the Intrigue). Popularly known as a one of a kind, 1OAK has been able to live up to its name since the time it was built and developed for use. Though it is smaller than what one can call a mega club, it is big enough for you to hold a party and have fun. Beyond seeing it as a club, popular celebrities have made 1OAK a place to relax and hang out with friends. So, you can plan your bachelor or bachelorette party towards the period a known celebrity will be visiting 1OAK. You will have access to different live performances from your favorites, top 40hits, open-format DJs and hip-hop. The dance floor goes on all through the night. 1OAK is 16,000 square feet with the building having two main rooms for parties. Each room has its booth for DJs and different service bars. Regular admission fee for ladies ranges from $20 – $50 while the one for men ranges from $30 – $75. 1OAK VIP list is free. Located at Mirage hotel 3400 S Las Vegas Boulevard, Nevada 89109. Conveniently located in the Cosmopolitan Casino, the award-winning Marquee Nightclub & Dayclub is a gigantic venue spanning 60,000 square-feet that includes three luxurious rooms and a wide array of musical types. Of special note is the 40-foot LED DJ booth situated on a indoor projection stage that is also adjacent to the outdoor swimming pool. Besides conventional house music, the Marquee also features the innovative mixed-format “Boom Box” as well as “The Library” which is their swank secluded VIP area complete with leather chairs and pool tables. Floor-to-ceiling windows provide an unrestricted view of the Vegas Strip. Regular admission prices start at just $20 for women and $30 for men while bottle service in their VIP areas ranges between $350 and $800 per bottle with a requirement to purchase at least one bottle for every five to six guests in your bachelorette or bachelor party (prices are typically much higher on the weekends). For general admission, ladies are charged $20 while men are charged $30. Sometimes, price changes depending on the event for the night. VIP is also dependent on the bottle service. Hence, you have to make reservations before the day. In Las Vegas, there is nowhere like Drai’s. 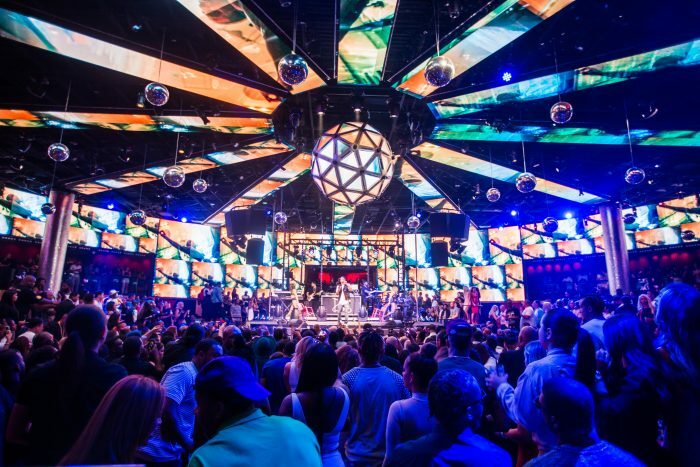 With a large space filled with bras and party favors, Drai’s experience is one of the best nightclub experience. At the pool area of Drai’s place, you will have access to the beautiful view of the strip, the famous Bellagio fountain, and even Caesar’s Palace. The exceptionality of Drai’s can be seen in the setting of an attractive environment for Live performances rather than placing focus on DJs. 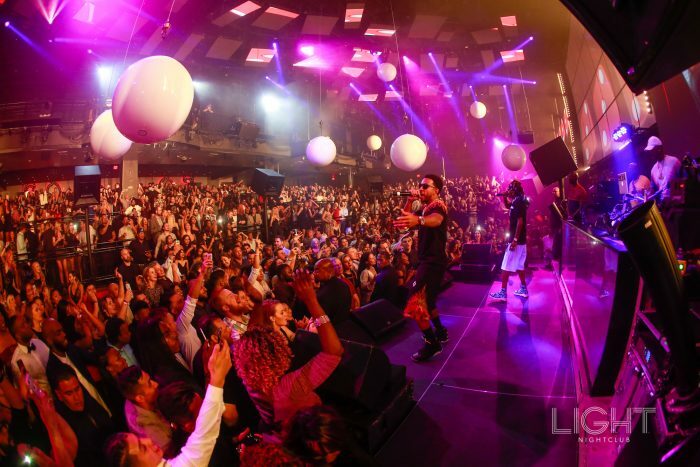 The club has hosted Chris Brown, Kendrick Lamar, Nicki Minaj as well as 2chainz. In that same place, you can switch to enjoy the bliss of the night at Drai’s Afterhours and Drai’s Beach Club. You should plan to have your bachelor party at Drai’s because all the fun you may have ever imagined is embedded in all three. Expect to listen to lots of R/B and HIP-HOP. This year, expect to see DJ Franzen, DJ Esco, Lil Wayne, 50 Cent, French Montana amongst others. For general admission, price starts from $20 for ladies and $30 for men. There may be exceptions on holidays and special events. VIP will have to request for table reservation. Table reservation for VIP begins from $70. The amount you can spend on your reservation will determine where your table will be. Price varies based on the night. 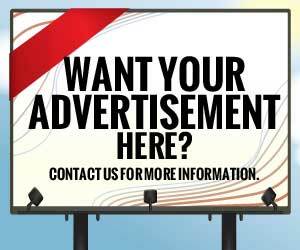 Located at the Cromwell hotel, 3595 S Las Vegas Boulevard, Nevada 89109. Having a bachelorette party is probably one of the best parts of life. However, the groove is dependent on where you plan to hold the party. If you have not made a permanent decision on where you want your bachelor or bachelorette party to hold, you do not need to worry as Tao is another excellent option. Imagine a club which has been in operation for over 10years and is still in operation. That is exceptional for Tao because the club keeps upgrading to satisfy guests. Tao club incorporates an Asian feeling in its setting. Tao club includes multiple rooms where guests can switch to anytime. In essence, you can enjoy EDM music in a room and then move to the next room to groove to hip-hop. When you feel like you need air, you can move to the restaurant session of the club. Tao club features 12,000 square feet space. For general admission, ladies are charged $20 while men are charged $30. Price may change depending on the type of event. For VIP, you can reserve for your group or you alone. 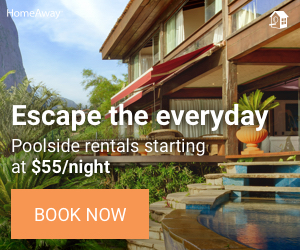 Single reservation begins from $40 while group reservation starts from $575. Table location is dependent on how much you are willing to spend as well as your time of arrival. Located in the Mandalay Bay and featuring enormous LED video walls, projection mapping and acrobatic performers from the Cirque du Soleil, the LIGHT Nightclub specializes in bachelorette and bachelor parties as well as providing bottle service for its VIP guests. With a world-class sound system, open format EDM music, hip-hop, and even current hits from the “top 40,” the LIGHT has something to appeal to everyone. Ticket prices depend on the day of the week and featured performers, but bottle service for VIP guests begins at $500 per table. 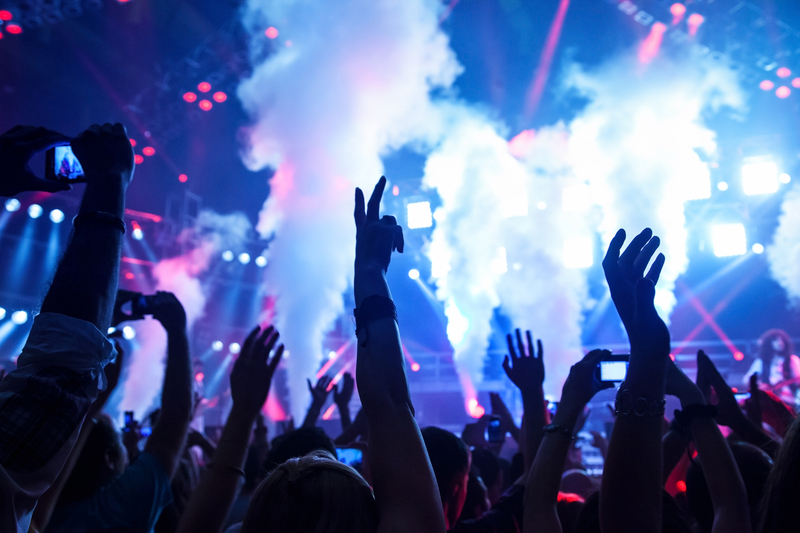 At Light, guests will enjoy a mix of hit hip hop, live performances as well as top 40. Light features 38,000 square feet. Light club is located at Mandalay Bay, 3950 S Las Vegas, Nevada, 89119. Hyde is one of the most sophisticated night clubs in Las Vegas. The design and settings of the club are inspired by the popular Italian villa. If you want something out of the ordinary, Hyde gives you an atmosphere of change. 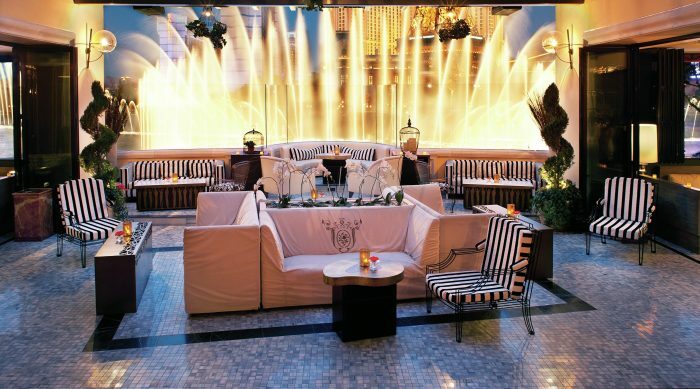 Right from the club, you can have a great view of the popular Bellagio fountains. Hyde also has a beautiful outdoor balcony where you can enjoy the water show. Unlike other clubs where you have to dance until you sweat, Hyde gives you that VIP feeling where you can dance at comfort. The music at Hyde varies depending on the night. They offer a mix of hip hop, EDM as well as top 40. Hyde features 10,000 square foot dual (outdoor and indoor) nightlife venue. For regular general admission at the door, ladies are charged $20 while men are charged $30. For VIP, reservations must be made. VIP group reservation starts from $550 while the single reservation starts from $40. Bachelorette Package: Hyde has two special Bachelorette packages. 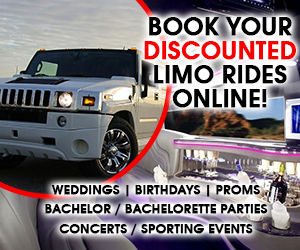 Access to VIP host and Bachelorette services. There is no fixed price for the Bachelorette packages. Hence, you will have to Price and Book before the day you intend to party. 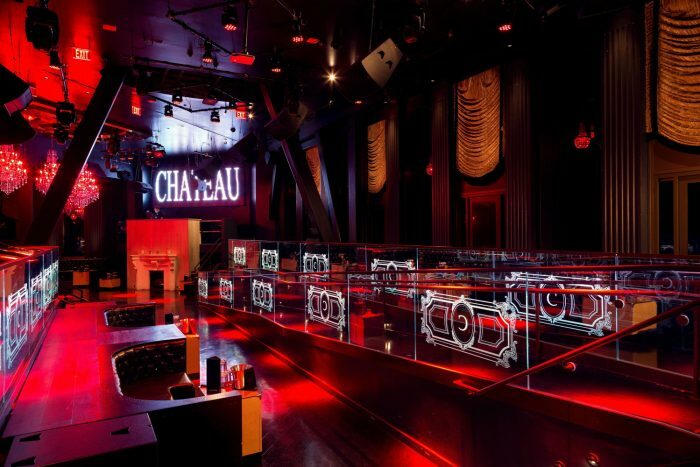 Chateau nightclub incorporates a beautiful indoor club experience and a roof to outdoor clubbing experience. So when you are done rocking the dance floor and the bar areas, you should move to the elevator at the far end of the club to take rooftop. The comfort of the rooftop clubbing experience is born out of the beautiful stars and the fresh air that somehow makes one feell refreshed. More than any other night club, Chateau attracts so many bachelor and bachelorette party. Most of the people who book for reservations enjoy having their party while watching the beautiful stars. Somehow, the stars seem closer. Due to the high request for bachelorette party reservations, Chateau nightclub offers the top 40 songs designed for that type of party. As ladies go on to have fun, men look through for a lady they can also meet. Even though you can’t swing a cat in Vegas without hitting a great nightclub, some are clearly better suited for your purposes depending on your preferences in music, surroundings and prices. Unless you have reservations and because the lines for entry into many of these popular nightclubs can take up to 2 hours, it is recommended that you time your visit accordingly to avoid the crowds and check the venue’s website to make sure they are open on your preferred date of visit. All of the nightclubs reviewed above specialize in groups events such as bachelorette and bachelor parties and all are spectacular in their own fashion, but be prepared to pay for what you get.